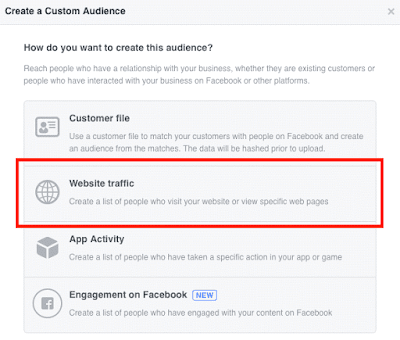 Do you want to reach more consumers with your Facebook ads? Looking for creative ways to reach more people like your ideal customers? Lookalike audiences allow you to build new audiences using an established source audience such as people who have viewed your video or previously purchased from you. 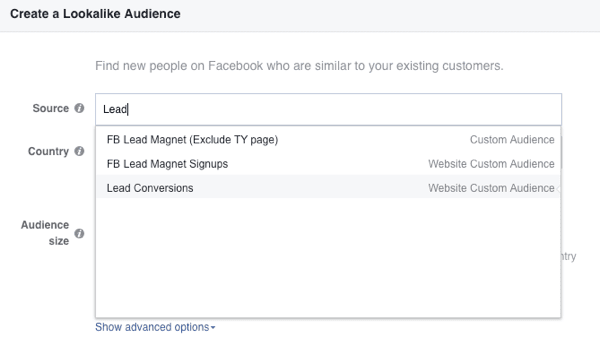 In this article, you’ll discover how to use Facebook lookalike audiences to successfully scale your ad targeting. 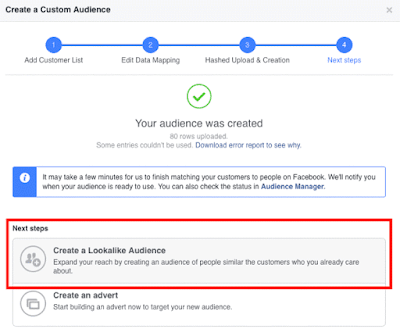 Facebook lookalike audiences are an advanced targeting option that goes beyond the basic interest and demographic targeting functionality. 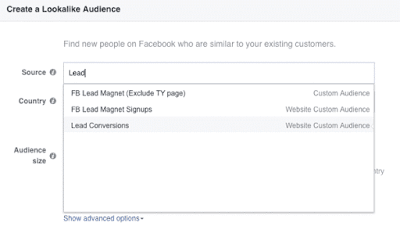 They’re currently the most effective Facebook targeting tool to find your ideal customer. At the core of all lookalike audiences is a source audience upon which you build a lookalike audience. 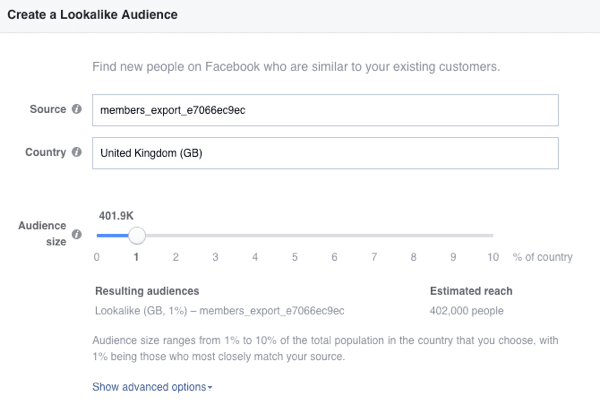 Facebook takes all of the data points of your source audience and finds new, similar people using a set percentage sample (which you specify) of the population in your chosen country. Unlike interest-based targeting, lookalike audiences allow you to create the source audience, giving you more control. As a result, you end up with better-quality audiences because you can find new audiences that are almost identical to your existing ones. Lookalike audiences are best used to target new cold audiences at the top of your sales funnel. For example, you could run top-of-funnel content campaigns to all of the lookalike audiences you build. This would start to warm them up as you take them from the top of the funnel to the bottom. 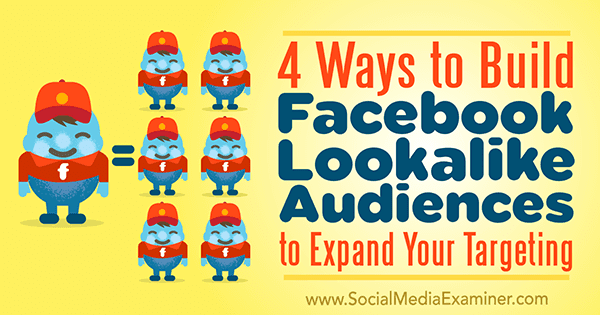 Now let’s look at how to create four types of lookalike audiences. 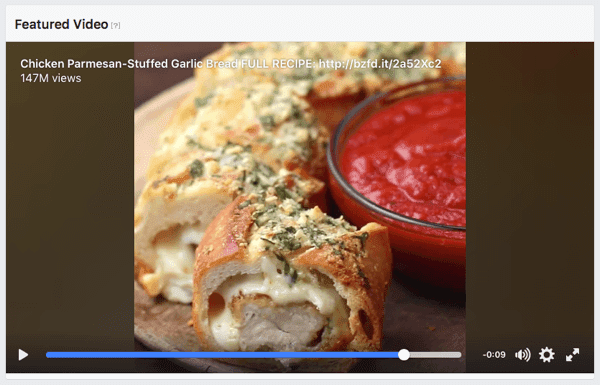 Facebook users watch 100 million hours of video on the platform every day, so it should come as no surprise that video is Facebook’s best-performing content. Video allows you to build brand recognition and trust with your target audience quickly. 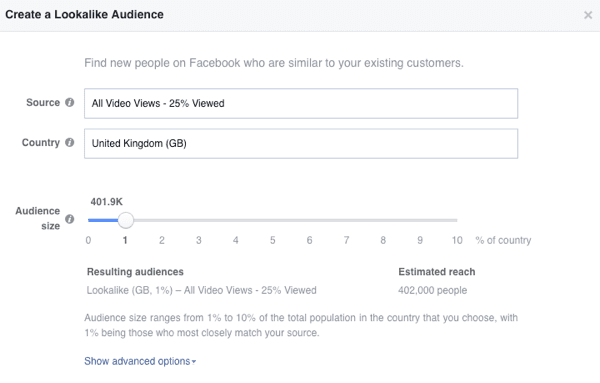 If you’re running a video-based content strategy and want to scale your campaigns to reach more people, lookalike audiences let you find new people based on those who’ve already watched your videos. Before you can create a video lookalike audience, you first need to create a custom video audience, which will be the source audience for the lookalike. 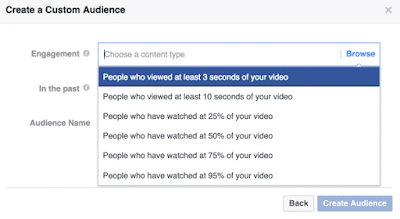 Custom video audiences allow you to segment your viewers based on what videos they’ve watched and their level of engagement. To create a custom video audience, open your Facebook Ads Manager and navigate to the Audiences dashboard. To do that, click the menu button and click All Tools. Next click Create Audience and select Custom Audience from the drop-down menu. In the pop-up box that appears, you’ll see four custom audience options. 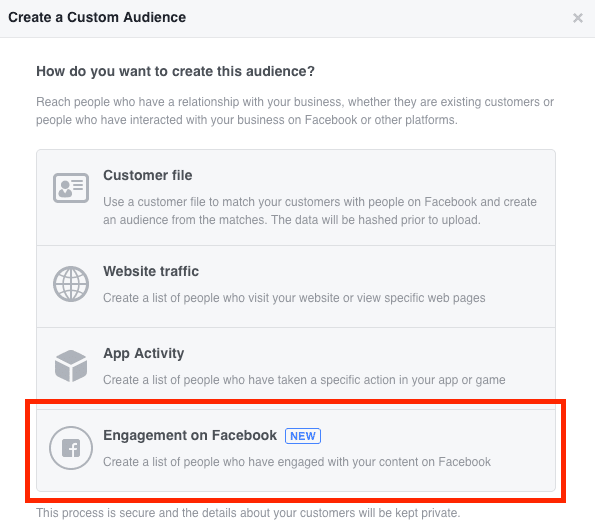 Select Engagement on Facebook. You’ll see the box where you create your custom video audience. 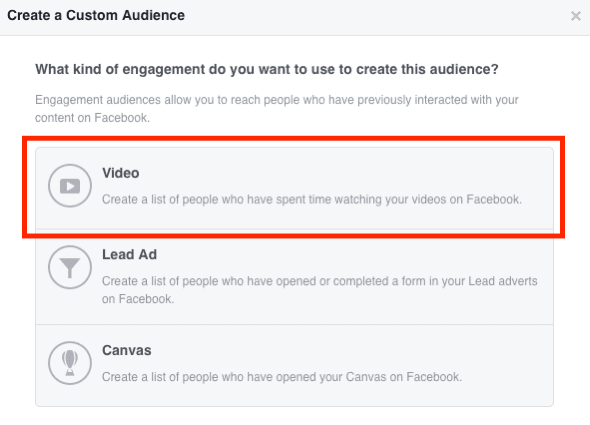 Select your engagement criteria from the Engagement drop-down list and choose the videos from which you want to build your audience. Define the time period, give your audience a name, and click Create Audience. You can create an audience for all video views at every engagement level: 3 seconds, 10 seconds, 25%, 50%, 75%, and 95%. 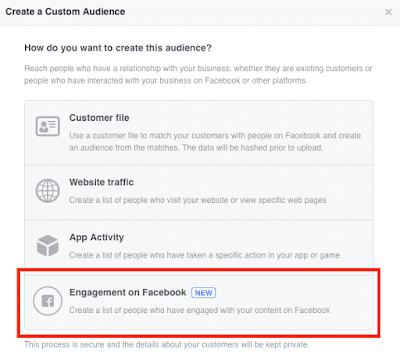 To create each one, repeat the process outlined above for the different engagement options. Now you’re ready to create your video lookalike audience. 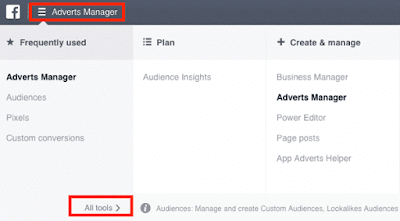 Navigate to the Audiences dashboard in your Ads Manager just like you did when you created the custom video audience. 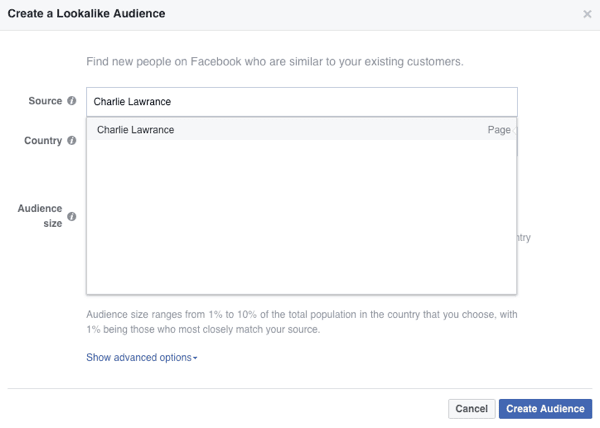 Then click Create Audience and select Lookalike Audience from the drop-down menu. 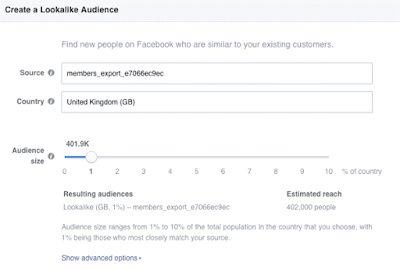 In the Create a Lookalike Audience box, you’ll see three fields: Source, Country, and Audience Size. 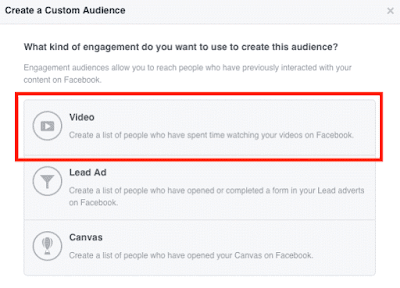 For the source, select the custom video audience you created in the previous step. Next choose your country. This is typically the country in which the majority of your source audience is located. For example, if you work predominantly with UK-based businesses, any lookalike audience you create will be in the UK. Finally, select your audience size. Audience sizes range from 1% to 10% of the total population in the country you choose, with 1% being those who most closely match your source. You may want to start at 1% and increase the audience size when you want to scale campaigns to reach more people. When you’re finished, click Create Audience. You’ll receive a notification when your lookalike audience is ready to use, which could take up to 30 minutes. Email-based lookalike audiences often deliver the best results. Why? 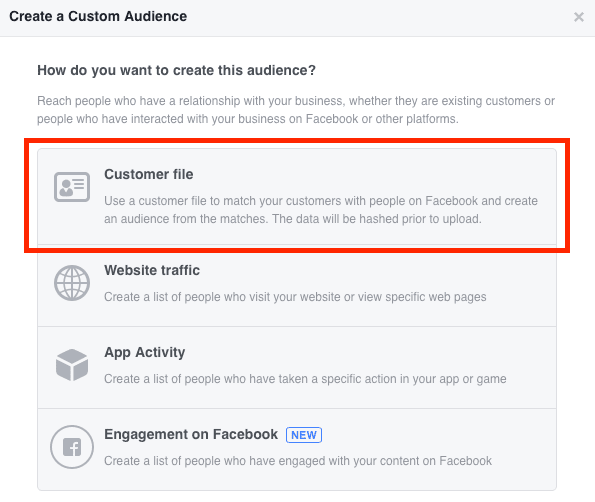 Because you can take your existing customer list and use that as the source for your lookalike audience, essentially cloning your customer base. As with video lookalike audiences, first you’ll need a custom email audience of your subscribers/customers before you can create an email-based lookalike audience. Navigate to the Audiences dashboard, click Create Audience, and select Custom Audience from the drop-down menu. In the first pop-up box, select Customer File. 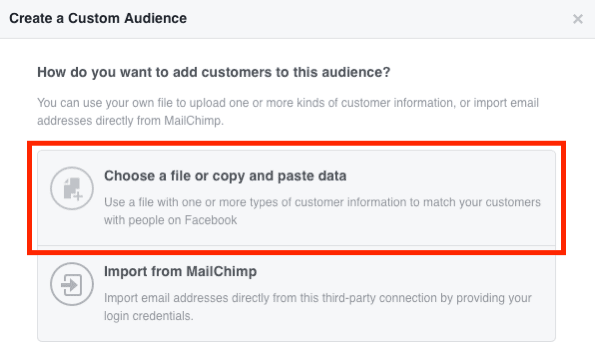 You have two options for adding your email data: upload your data as a file/copy and paste the data, or import it from MailChimp. 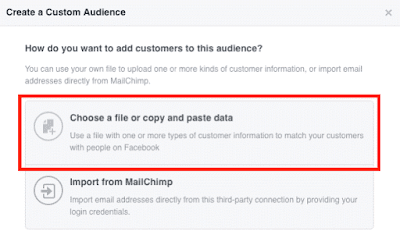 If you’re uploading your email list, click Choose a File or Copy and Paste the Data. Next upload the email list (which is a CSV file in the example). Then map your identifiers. The more identifiers you use the better match rate you’ll see. In the example, we’ll use First Name, Last Name, and of course, Email Address. After you click Upload & Create, you’ll see a progress bar and how many rows of data were successfully uploaded. 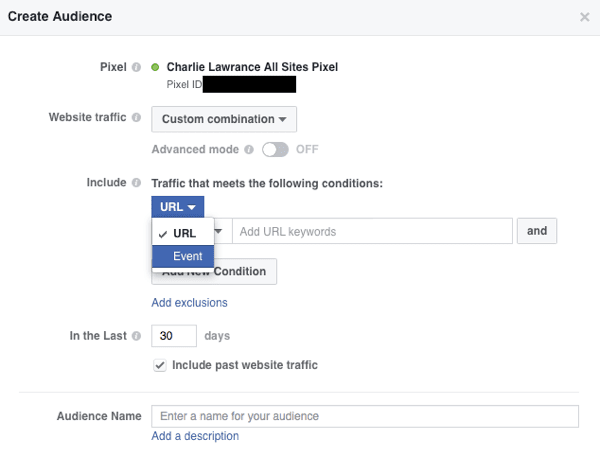 Now under Next Steps, click Create a Lookalike Audience. 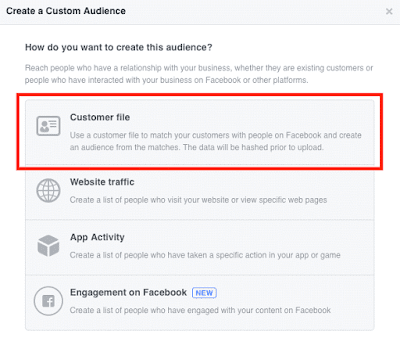 In the Create a Lookalike Audience box that opens, you’ll see your custom email audience in the Source field. 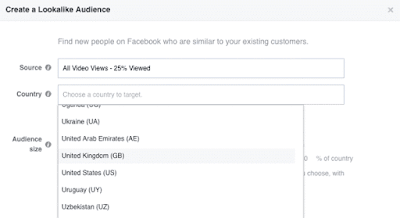 Select your target country (from which the majority of your email list comes) and choose the audience size. Consider starting with a 1% lookalike audience and scaling from there. Then click Create Audience. Conversion lookalike audiences let you find new target audiences using a website custom audience of people who have completed a specific conversion event. For example, if you’re an ecommerce business running a discount code lead magnet, create a website custom audience of people who have triggered a lead event action by opting in for the discount code. 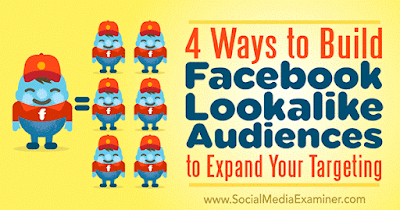 Then use that audience as the source for your lookalike audience. 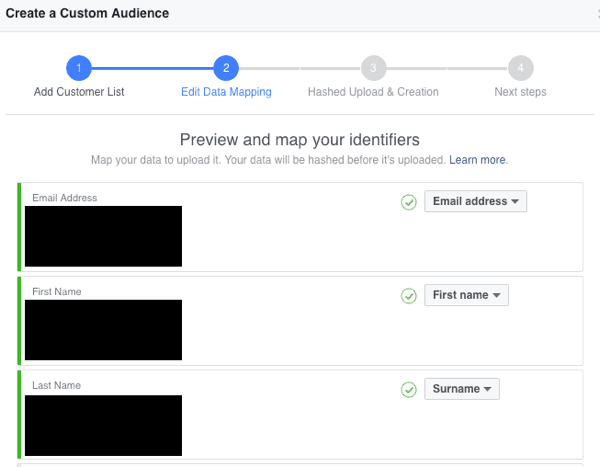 Before you can create the source audience for your conversion lookalike audience, make sure that you’ve set up and installed conversion tracking. 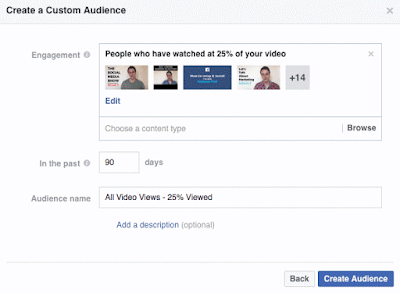 As with video and email lookalike audiences, you need to create the source audience first. It will be a website custom audience of people who have completed a specific event action. In the Audiences dashboard in your Facebook Ads Manager, click Create Audience and select Custom Audience from the drop-down menu. 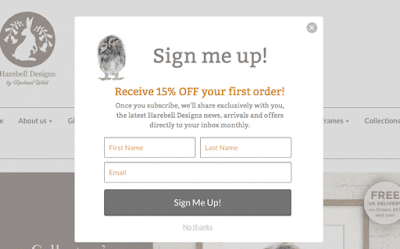 In the pop-up box, select Website Traffic. From the Website Traffic drop-down menu, select Custom Combination. Click the URL drop-down menu and select Event. 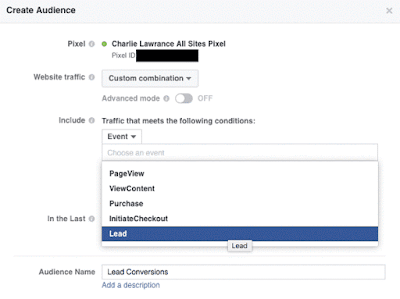 Choose the event you want to create the audience from (Lead, for example). 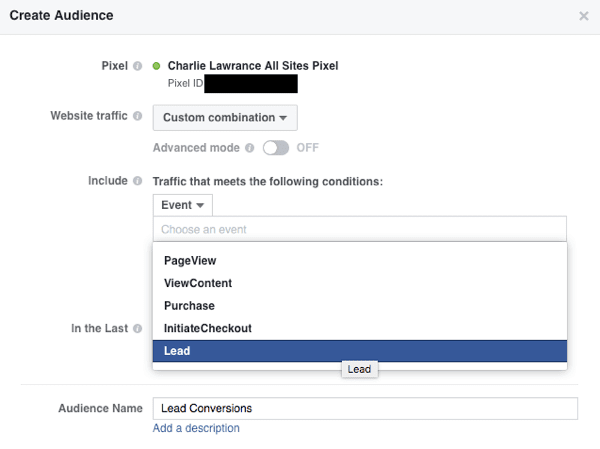 You’ll see a list of event actions you’re currently tracking using the Facebook pixel. In the field called In the Last, enter the time parameter for how long people will stay in your audience once they’ve completed the specific action. For example, you might choose 120-180 days to have the maximum number of people in your audience. Finally, make sure the Include Past Website Traffic box is selected, give your audience a name, and click Create Audience. Now navigate to the Audiences dashboard, click Create Audience, and select Lookalike Audience from the drop-down menu. 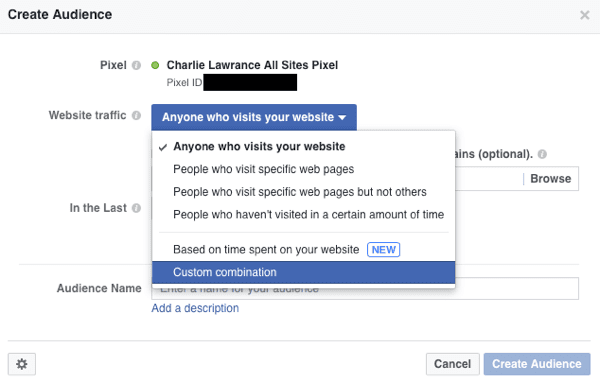 In the Create a Lookalike Audience box, choose your website custom audience from the Source drop-down list. 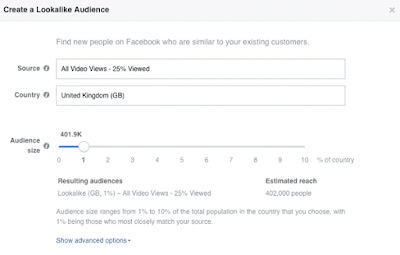 Then select your country and choose the audience size (1% is a good place to start). 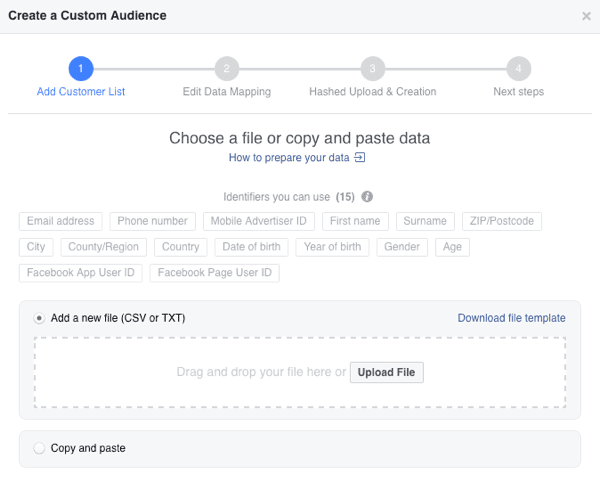 Finally, click Create Audience and wait for Facebook to build your lookalike audience. Once it’s ready to use, you’ll receive a notification and it will appear in your Audiences dashboard. 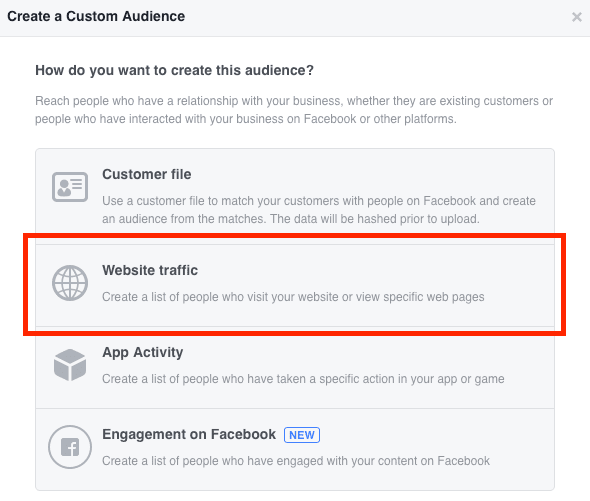 Lookalike audiences for page likes are the easiest to set up because you build them from the fans of your Facebook page. 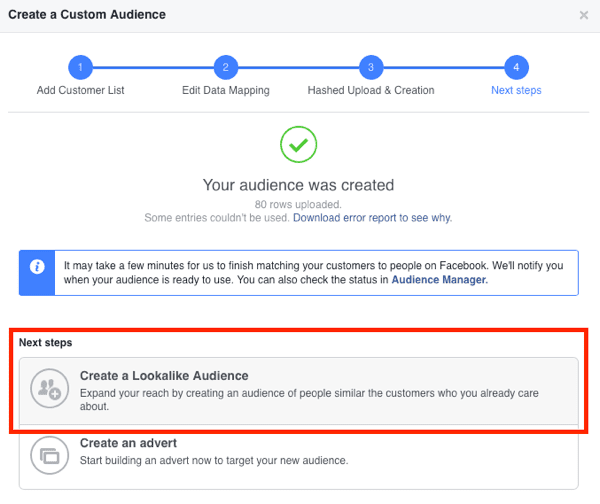 If you have a large number of Facebook fans who actively engage with your organic posts, a page likes lookalike audience is a great way to find new similar target audiences. Differing from the three lookalike audiences above, you don’t need to create a custom audience for your source audience. In the Audiences dashboard in Facebook Ads Manager, click Create Audience and select Lookalike Audience. 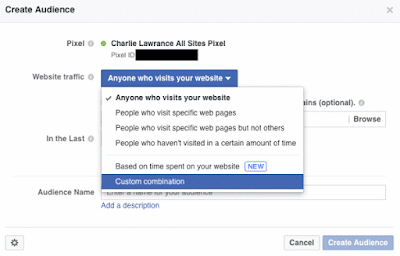 In the Create a Lookalike Audience box, select your page name from the Source drop-down list. 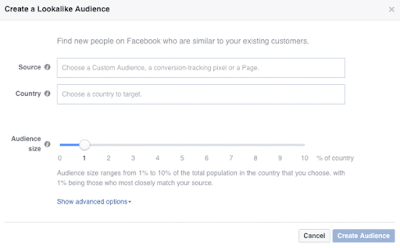 Then choose your target country and select your audience size. Tip: With all lookalike audiences, the larger the source audience, the better quality the lookalike audience will be (since there are more data points to use). A general guideline for building lookalike audiences is that the source audience must have at least 1,000 people in it. One of the advantages of using lookalike audiences is the ability to scale your campaigns quickly and easily. 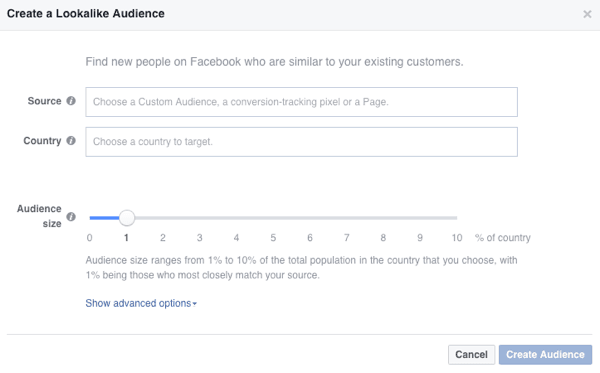 Because you create lookalike audiences based on a percentage sample of people in your target country (from 1% to 10%), you can start with a closely defined 1%, and as you reach higher ad frequency, introduce the 2% audience, and so on. Compare this approach with interest-based targeting, which is more hit and miss when you have to create new audiences from different related interests. What do you think? Do you use Facebook lookalike audiences for your Facebook ads? Please share your thoughts in the comments below.